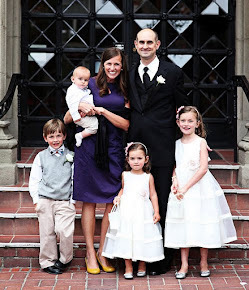 Boston Shumways: four kids. three schools. happy mom. four kids. three schools. happy mom. Deep breath. We’ve made it half way through September. All four kids are in school for some portion of the week this year. And, as hard as it is to get everyone where they need to go, it feels so good to have some mommy freedom! To get some things done. We had a graduated start this year. Hazel started first with her online school. This didn’t really feel like schools starting though….in Hazel’s words: “every day feels like summer.” Don’t think that sentiment will last, but we’re going to bask in it while it does! Here she is on her first day, all ready to go in her Greenfield Academy t-shirt. (more about this new kind of schooling here). she was a little more excited than she looks…..
Next it was Charlie’s turn. This a breeze for this third grader. He was so excited to get back into things, to see his friends, to have a bazillion people to talk to all day long. This kid is crazy social and loves the way school stretches him. These tough guys have started here at the Linden together since the beginning. Oh, it’s such a blessing to have a best friend. Hazel came to drop Charlie off. She was psyched to get to see all her friends from last year and give them all her exciting news about her new school path for the year. Next it was Em’s turn. Do you think she looks excited? The night before she started we had a little family meeting and the big kids gave her advice about starting school. It was awesome to sit and listen as Hazel and Charlie pretty much nailed it. Hazel told her to remember that if she started to feel scared she should just remember that everyone was a little scared and that she should look around and see who might even feel more scared than she was and help them out. Charlie gave her lots of tips on how to impress her teacher, Mrs. Elliott. He knows, he had Mrs. Elliott. Don’t let that confidence fool you, she had butterflies swarming in her belly. She asked me if it was normal to be a little nervous because Ramona didn’t seam nervous. I told her that those butterflies would give her all the energy she needed and that they’d help her to remember to follow Hazel’s advice. We all rallied around her and gave her a bunch of kissing hands before sending her off. She felt so big and full of energy and adrenaline. My two Linden School kids. ^^ Em was so excited to have this good friend in her class, at her very table. She came out smiling with this cute little sticker….but she was also EXAUSTED. Poor girl. It’s hard to build up those school muscles. And Peter was last. Starting at the Rockland. He’s been dropping off siblings at the Rockland since he was born so this was a piece of cake for him. He wanted to jump out of the van while it was still moving to get into that big school in time. He seriously did not bat an eye. Jumped out of the car and marched up those steps. Every day when I pick him up he tells me, “I LIIIIIKE school!” In my opinion, he’s a little too happy about being so grown up. It’s that baby going to preschool that’s really the killer. I still remember so clearly the day I dropped my first pre-schoolers off at the Rockland. How did all that time go by so fast???? Everyone told me it would, but that was too hard to believe. We celebrated all of these new beginnings with a trip to Zinga to get some froyo. We’re going to have a good year. For the first time in a long time I’m going to have a few mornings of quiet around here. With just Ms. Hazel schooling quietly by my side. Crossing my fingers I can get a few things I’ve been meaning to get to for years (but not holding my breath).